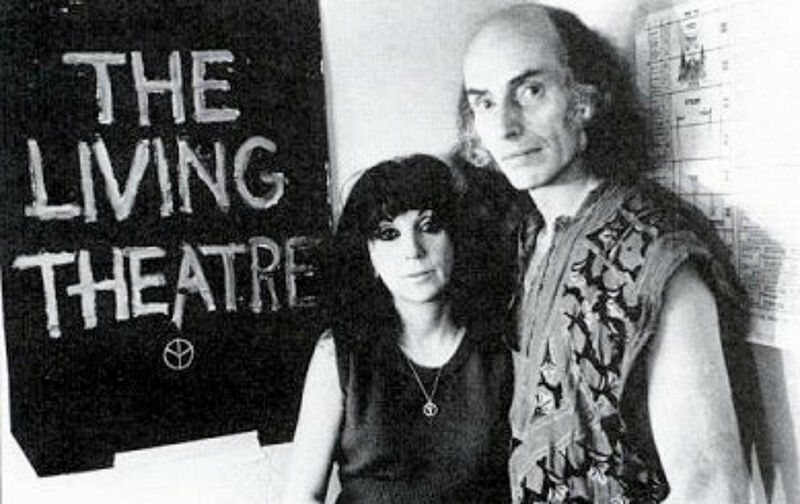 The founder of the Living Theater was absolute about her principles as a pacifist anarchist, yet never dismissive or judgmental toward those who didn’t share them. Soon after, along with Julian Beck, she founded the Living Theatre and she kept it going for nearly 70 years, working right up to her death at 88 on Friday. Under her guidance (Beck died in 1985; Malina’s later partner and co-artistic director, Hanon Reznikov, in 2008) the Living created a body of work well worthy of the immortality she dreamed of in her youth. What’s more, Judith gave the world, in her very being, a model of the revolutionary future she worked for. She was absolute about her principles as a pacifist anarchist, yet never dismissive or judgmental toward those who didn’t share them. Her commitment to nonviolence was that thorough. Most amazingly for a life-long leftist, she had no cynicism. She exuded love, even joy, when she spoke—her voice strong even as she aged, her eyes always smiling—the actor’s pleasure of the spotlight combined with her utter conviction in what she had to say. On many occasions, I saw her speak to students about the role and power of theater—and about making an engaged life, rather than a career, in the theater—with such sincerity, delight, and openness, that if she’d hollered, “Okay, let’s go!” every one of them would have followed her right to the barricades. If you sat near her, she’d take your hand in her tiny one and grip it for emphasis with Herculean force. One of my favorite Living Theater productions over the decades was a surprisingly witty 1995 piece called Utopia, an exploration of the concept through movement, chanting, and spoken text that was at once fervent and self-consciously goofy. I’d seen it in New York among a jaded, withdrawn audience, and then again in a centro sociale—one of Italy’s squatted community spaces—in an industrial town just outside Venice. There, it was like going to a giant rock concert. Hundreds of people, most of them young, flocked to the show with excitement, and I newly understood something about the Living’s role: it speaks best to audiences looking for alternatives, open to the bald assertion of basic truths, unembarrassed to hope in public. In mainstream coverage, the Living is often recalled with a clichéd reference to naked bodies groping and writhing on the ground (an image from the troupe’s infamously hectoring 1968 piece, Paradise Now) as if that sums up the oeuvre, but in fact the Living was constantly evolving. While revisiting and revising its longstanding repertoire, the troupe kept exploring new dramatic forms and techniques as it pursued a never-ending investigation of the relationship between actors and spectators. And as it tested the ways theater can prime the imagination for the work of politics. Hokey sometimes, sure—I did my share of squirming away from audience participation, rolling my eyes at earnestness—but sometimes also revelatory, even fun. In its earliest years, the Living introduced modernists like Gertrude Stein and Alfred Jarry to the American stage. In the late 1950s and early 1960s, it forever changed American theater with its astounding productions of Jack Gelber’s The Connection (an ultrarealistic portrayal of a group of jazz musicians awaiting their heroin fixes) and Kenneth Brown’s The Brig (a tightly choreographed depiction of Marines brutalized by their own fellow servicemen, a corporeal parable of brute authority). The company worked among the favelas of Brazil, the steelworkers of Pittsburgh, and the homeless people of the Lower East Side. It pioneered the process of collective creation—developing a form of horizontal organizing that didn’t sacrifice expertise and division of labor. The Living made the most effective street theater I’ve ever seen—especially it’s anti–death penalty play, Not in My Name, presented for years at Times Square whenever an execution was scheduled in the United States. It produced probing historical and poetic dramas, among other works, most recently at its theater on the Lower East Side. When the company lost the lease two years ago—along with the apartment upstairs where Judith lived—she moved reluctantly to the Lillian Booth Actors Home, an assisted-living residence for showbiz folk in Englewood, New Jersey. Friends and colleagues visited frequently and brought her into New York for rehearsals so she could keep directing from her wheelchair, losing none of her incisiveness or intensity for being hooked up to oxygen. She also left a body of lyrical poetry and captivating diaries. About a dozen years ago, I traveled to Lebanon with the Living to cover a workshop it was conducting with local theater students. Exploring movement techniques drawn from Meyerhold’s biomechanics, they were also learning a process of collective creation. They were making a piece to perform in the south, which was about to celebrate the first anniversary of the end of Israel’s occupation there. One day, about a third of the students declined to rehearse and instead presented a manifesto they’d stayed up all night preparing: They said they could no longer participate in the project because they understood that the Living spread a pacifist message, and they didn’t want to be misperceived in the south as not having supported the armed resistance that, they believed, had liberated the area. Judith listened carefully and expressed her respect for their views, but stood by her own. They challenged her, saying that it was easy enough for a privileged American to profess nonviolence, but what if she’d lived under occupation? They doubted her sincerity. They called her naïve. I’ll never forget how she answered. Maybe it is naïve, she told them, but think how terrible it would be if there were no one in the world holding fast to an ideal of nonviolence. There must always be someone willing to cry for peace under even the most oppressive circumstances. That was her task, she said, the mission she had taken on. Who will do it now?